Note to Reader: My heart aches for those of us who have been wounded by the sins of abusive family members. Please note I’m not referring to abuse when referencing conflicts or wounds caused by family members in this article. If you or someone you love is suffering abuse of any kind, please contact a professional and seek help immediately. I am praying for you as I write this note. You are not alone. While some folks enjoy healthy and holy communication within godly familial relationships, some of us endure more than our fair share of seemingly endless family drama. Too many of us are grieving over estranged relatives or heartbroken watching loved ones reject family as they battle addictions. A few are tired of those who blame others instead of taking responsibility for their poor life choices. Some struggle with family members who instigate arguments, shame or belittle, hold grudges, judge harshly, or gossip. How are we supposed to respond to folks who exaggerate or deceive to prevent others from knowing who they really are or what they’ve really done to us or others we love? But wait . . . what if some of us are the people I’ve just described . . . or have been that person in the past? What if we’re the ones who need to seek forgiveness and ask God to change us and help us make amends and work toward restoring or renewing relationships with those we’ve hurt in the past? The fact is, it just ain’t easy honoring God when we realize we’re all imperfect people who have a tough time loving our kin or being lovable ourselves. Over the last couple of years, the Lord brought me through some heartbreaking relational conflicts. I wrote a six-part series entitled “Radical Forgiveness” as I prayed over broken or barely surviving relationships with family members. As of today, I have continued praying over several of those still-broken relationships. Family strife is a fact of life that we don’t have to allow to steal our joy or destroy the genuinely loving relationships we can experience with God and others. It’s tempting to get stuck on the merry-go-round-of-complaints, get caught up in being angry, get even, or get as far from the drama as humanly possible. Instead, we can take a closer look at how God worked in and through familial discord in Scripture to help His faithful servants thrive despite family strife. In Genesis, we see how Jacob favoring Joseph caused his other sons to hate their younger brother (Genesis 37:3-4), so much that they sold him into slavery (v. 28). They even lied to their father for years (vv. 34-36). God remained with Joseph and blessed his life (Genesis 39:2-6). Though he wasn’t exempt from more painful trials or injustice (vv. 9, 11-20), the “LORD was with Joseph and showed him steadfast love” (v. 21). Whatever Joseph did, “the LORD made it succeed” (v. 23). 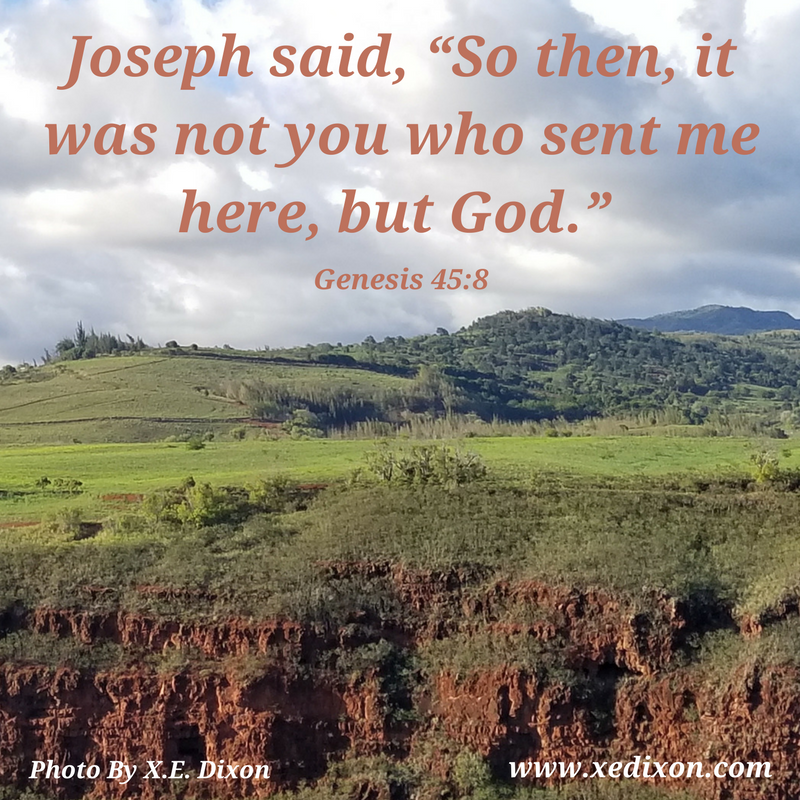 Instead of allowing his experiences to taint his attitude or shake his faith, Joseph honored God by living with integrity and treating others with love, compassion, and kindness (vv. 6-7). Two years of being wrongly imprisoned didn’t stop Joseph from glorifying God (Genesis 41:14, 16). Rejoicing over the family the Lord gave him through marriage, Joseph proclaimed, “God has made me forget all my hardship and all my father’s house” (v. 51). Joseph was happy. What could possibly go wrong? Well . . . those scoundrels who sold him into slavery showed up. For the first time in years, Joseph stood face-to-face with the strangers he recognized as the brothers who betrayed him and his father. Though Joseph wasn’t upfront with his siblings when they came begging for help, he didn’t fake forgiveness either. God gave him time to process his emotions (Genesis 42-44). Even though Joseph had plenty of reasons to be mad, he didn’t cast blame, hold a grudge, run to Pharaoh and gossip about his brothers, or demand punishment. Joseph accepted how God had caused him to thrive despite his suffering. He didn’t waste time trying to prove to the world that his brothers were wrong for what they’d done. Instead, Joseph trusted that the Lord had remained in control and stayed with him through everything that had happened in his life (Genesis 45:5-9). He knew from experience God could bring good out of painful circumstances (Genesis 50:20). So, Joseph didn’t fear extending grace, or being generous in love and kindness (v. 21). As we deal with challenging familial relationships, God can empower us to surrender to His mercy, live in the freedom of forgiveness, and love others as selflessly as He loves us. God will stay with us, protect our reputations, guide our steps according to His perfect will, and enable us to experience peace and joy as we choose to honor Him . . . even when others do not. Unfortunately, since we’re all imperfect people who live in a fallen world, family members will hurt us and we’ll hurt those we love. 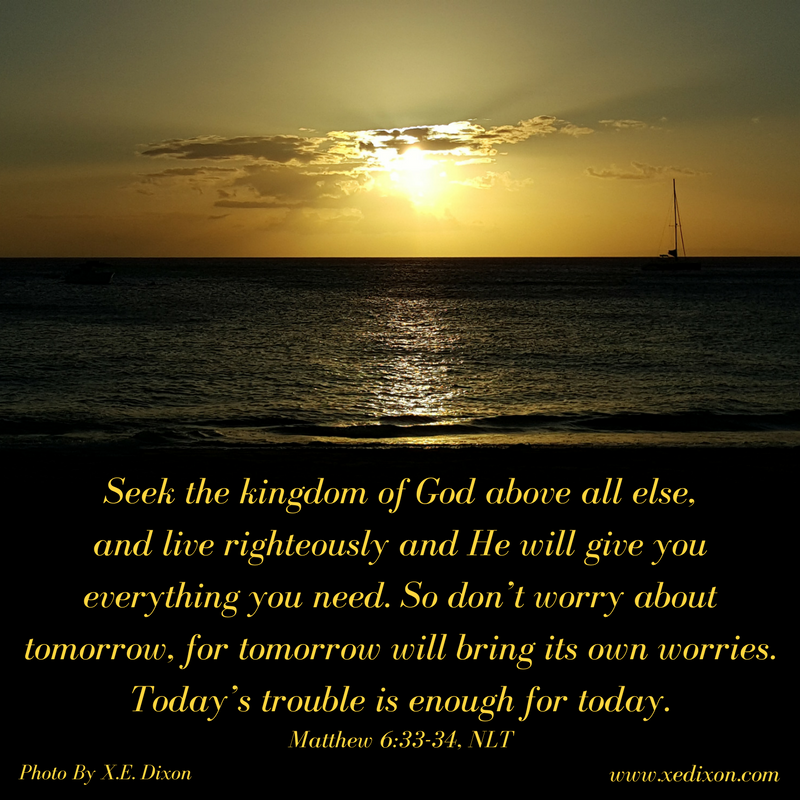 But we can protect our mental, emotional, and spiritual health by placing our trust in the Lord. We can ask Him to help us make time to process our feelings, remain calm, and be courageously and respectfully honest with Him and others. We can ask God to help us create and respect healthy and holy boundaries, as we honor Him with our words, attitudes, thoughts, and actions. We can trust the Lord to give us all we need to keep on praying for and working toward building stronger familial relationships. And we can thrive as we honor Him . . . even if our closest family relationships end up being connected through Christ’s blood (The Church) instead of our genealogy. Father God, thanks for helping us honor You in the ways we love others in healthy and holy ways. Though sometimes it’s unsafe, unhealthy, or unwise to restore a broken familial relationship, please help us trust we’re all in Your hands as we choose to forgive and pray we will all be forever changed by Your love and grace. In Jesus’s name, Amen. How can we benefit from extending forgiveness to someone who doesn’t apologize? How does it help to know forgiveness doesn’t mean excusing, ignoring, justifying, or minimizing sin? How does it help to know reconciliation doesn’t require us to pretend things are fine or the same as before (restoration), or better than ever (renewal)? 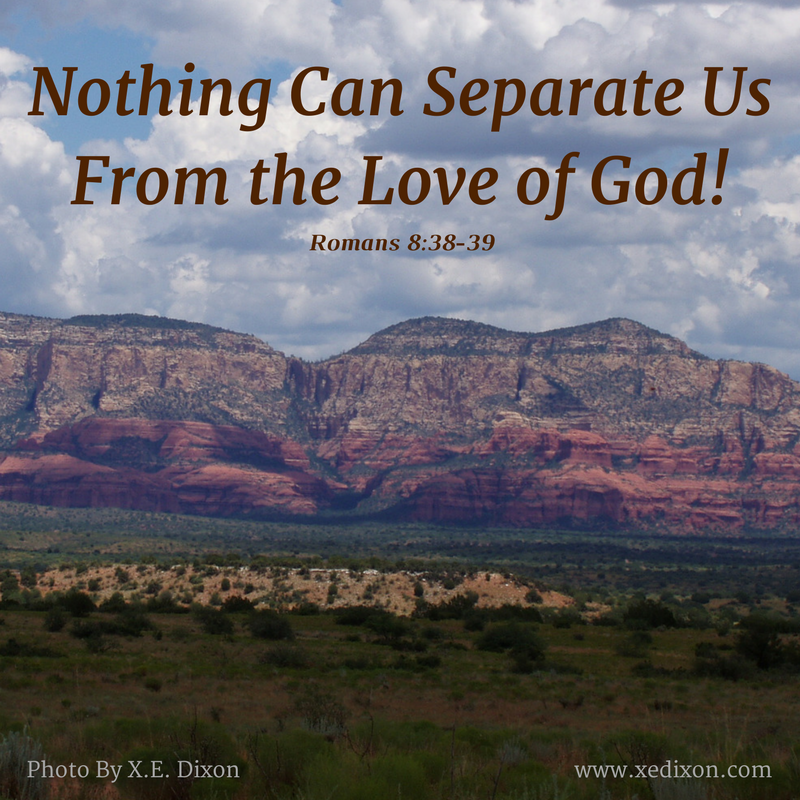 How can we honor God when we can only show love from afar, because a familial relationship is reconciled through forgiveness on our part, but not physically or emotionally restored? How can we honor God and love family members who do not want a relationship with us? On Thursday morning, I woke up praising God for blessing me with minimal instead of high-level pain. I thanked Him with grateful tears for over twenty-four headache-free hours. My body ached after a week of constant muscle spasms and nerve pain that caused debilitating headaches. Though the painful days are an expected part of the recovery process after my recent nerve ablation in my neck and injection in my upper thoracic back, the journey often wears me out physically and emotionally. By mid-afternoon, I praised the Lord for allowing me to enjoy a wonderful time of reading His Word and writing for His glory. Then, I received bad news over the phone. After sobbing prayers, God comforted me with His promise to be with me every step of the way, even if I wasn’t sure what my next step would be. The Lord assured me He had already planned ahead for my needs and made a way for me to follow Him, if only I would be willing to place my confidence in His unchanging character and integrity. I called my husband to let him know about what had happened and together we made a decision in the matter. As we trust the Lord to provide in ways we can’t even begin to figure out, we remain certain He’ll care for us. He always has and always will. A few minutes after hanging up with my husband, I checked the mail and smiled when I saw a card from a friend. Her timely, encouraging note felt like a hug from God. Soon after, I received another call. This time, the news was great. 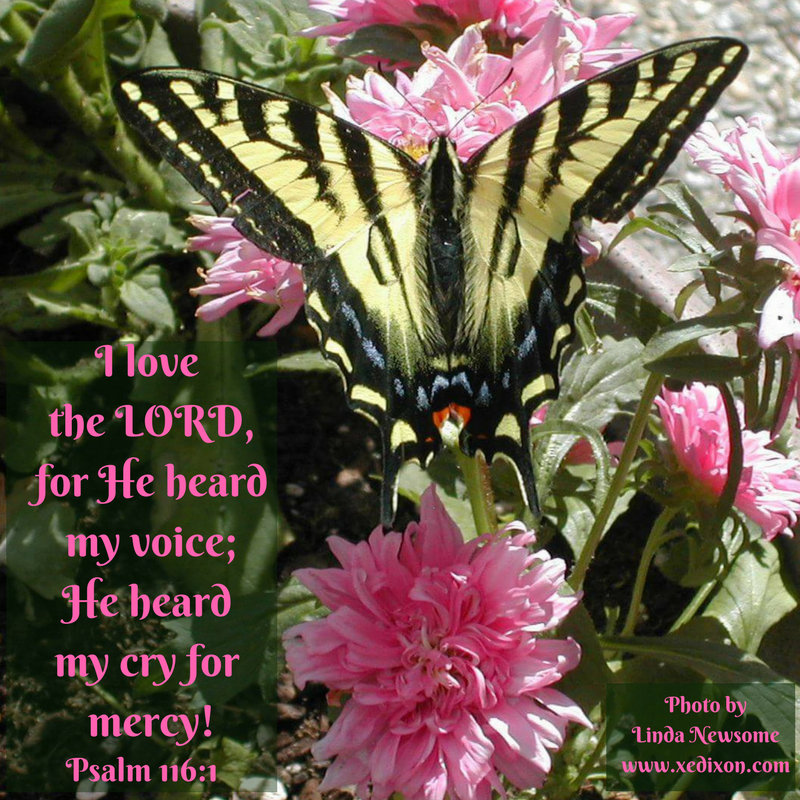 After a roller-coaster-day of emotions, I praised the Lord with yet another sobbing prayer. Those tears expressed an unexplainable joy. My pain hadn’t gone away or improved, but it hadn’t gotten worse. My bad news hadn’t changed, but God had revealed His care once again. Even as I type this blog post, my focus isn’t on the ever-changing good or bad circumstances in my life, the uncertainty of the future, or the complex emotions the inevitable changes evoke. When we take refuge in God, we can rest in the knowledge of who He is and who He always will be. When we place our hope in knowing God won’t change, we can feel secure even when the world around us feels totally out of control, which it totally is. We can be glad because our good and loving God is constant, present, dependable, trustworthy, and faithful. 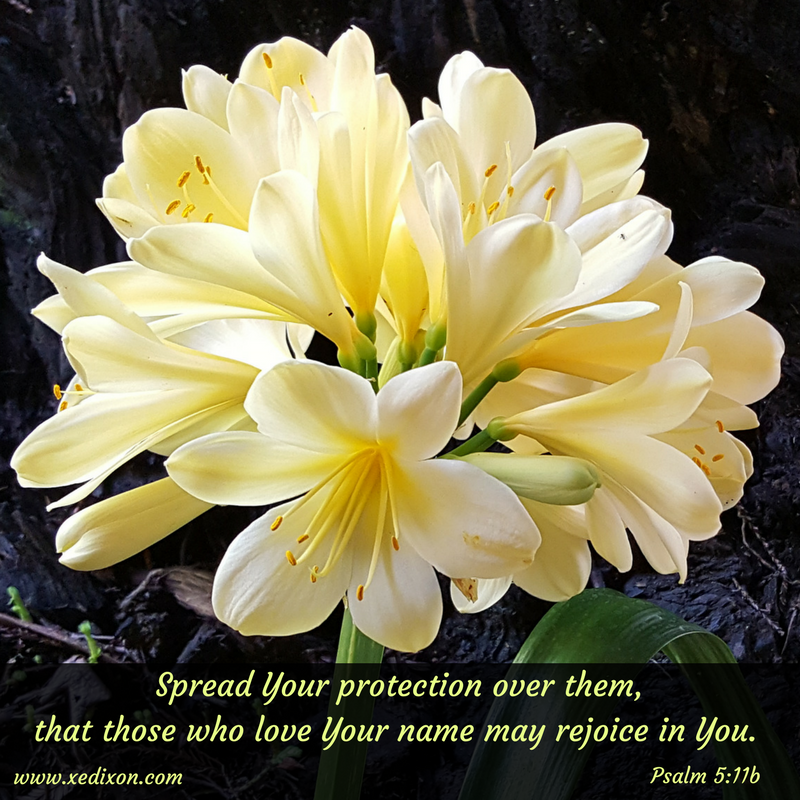 We can sing for joy because He is our Protector and Provider. We can love His name, as revealed through Scripture, because His name affirms His unchanging character. God is Jehovah, the Existing One, the Lord who wants to be known (Genesis 2:4). 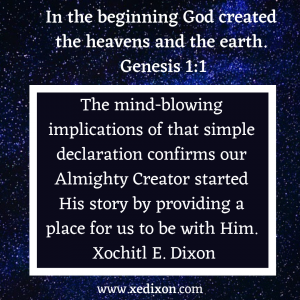 He is Elohim, Creator (Genesis 1:1). He is El Shaddai, The Almighty (Genesis 17:1). He is Jehovah Jireh, Provider (Genesis 22:14). He is Jehovah Rapha, Healer (Exodus 15:26). He is Jehovah Shalom, “The Lord Our Peace” (Judges 6:24). He is Jehovah Rohi, Johovah Raah, “The Lord Our Shepherd” (Psalm 23:1). He is El Roi, the God who sees (Genesis 16:13). He is El Olam, The Eternal God, everlasting (Genesis 21:33; Psalm 90:31). Because God is the Great I AM (Exodus 3:14), the Beginning and the End, we can call Him Adonai, our Lord and Master (Genesis 18:2). 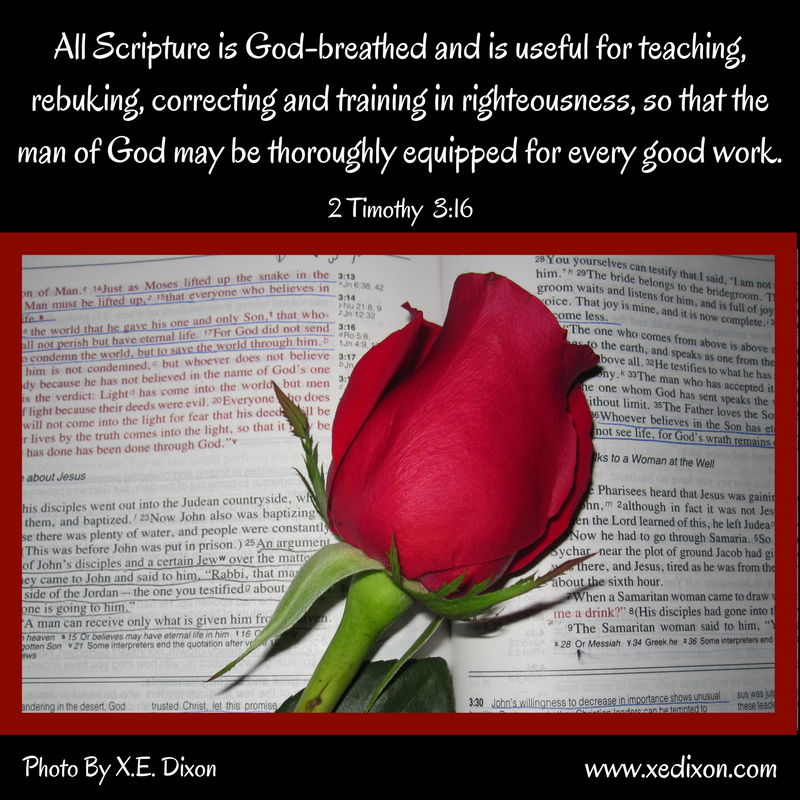 Lord, thank You for Your infallible truth through which You reveal Your unchanging character. Please penetrate the deepest corners of our hearts and minds with Your loving, God-breathed words. Help us seek You and rely on You to transform our hearts and minds, as You strengthen our resolve and deepen our faith. You are our peace, our refuge, our quiet strength, even when we feel our weakest. You guide our steps and make a way where there is no way, as far as we can see. You will never change. You will never grow weary. You will never abandon us. You will never forget us or ignore the cries of our hearts. Thank You, Lord. Thank You for loving us in ways we don’t even see. For further study on the names of God, you can visit Bible.org or the Blue Letter Bible websites. Thanks for hearing our voices, Lord (v. 1). 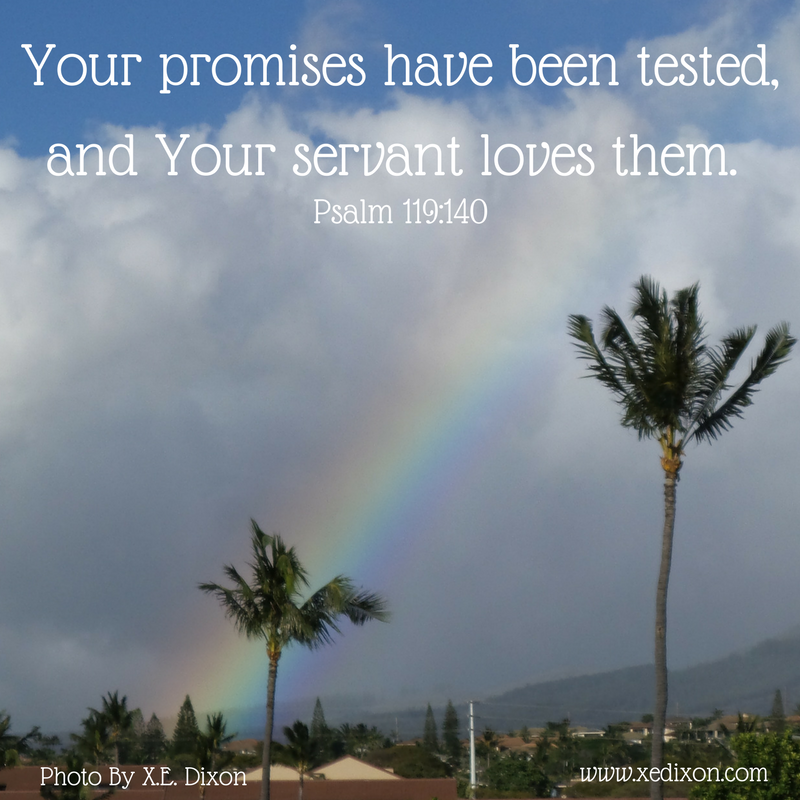 You’ve proven Your faithfulness time and time again. You’ve revealed Your great love for us, demonstrating patience and grace even when we’re impatient with You. Thanks for caring about every sob that pours over our lips and every silent cry triggered by the pain we can’t put into words. Thanks for delighting in every song of praise we sing to You and every whispered prayer of thanks we offer You. You invite us to be honest with You as we process our emotions. You never minimize or ignore our feelings. And You always, always respond in love, mercy, compassion, sovereign goodness, and wisdom. How can we ever thank You enough, loving and dependable Father? When we can’t see You working or understand Your purpose, when the wait or suffering feels unbearable, and when we can’t even begin to imagine any good coming out of our situation, You−Almighty and Sovereign God−will always make Your presence known and offer to carry us through. And we can trust now and forever, Lord. You will be available when we need to call on You all the days of our lives (v. 2). You are gracious and righteous and full of compassion, Lord (v. 5). You are our Protector and Rescuer, our Refuge and Good Shepherd (vv. 6-9). Please give us the desire and diligence to seek You daily in the treasure of Your Holy Word, made accessible by Your Holy Spirt, who lives in us and empowers us to live for You. Give us ears to hear You clearly and hearts to love You by obeying You, one day at a time. We can do nothing without You, Lord. Nothing. Thanks for listening, Lord. Thanks for reminding us You really do care. Photo taken by and used with permission from Linda Newsome. Why Should I Love God When He Calls Me a Sinner? Seeped in sin. Sometimes oblivious. Sometimes . . . okay, most of the time, completely and intentionally rebellious. I believed God existed, but I’d never had a personal encounter with the Person−God the Father, God the Son, and God the Holy Spirit−the loving and faithful One, the mighty and merciful One, the one and only True Triune God. I’d grown up confused by wrong-thinking that led to seeing God as a punisher, a cruel judge who delighted in pouring His wrath on people. I couldn’t imagine turning to God just to be judged, condemned, and shamed into changing my life. How could I love God if He called me a . . . sinner? I perched in that tree of confusion, looking at Jesus from a safe distance, never daring to get close and personal, until He whispered my name and invited me to spend time getting to know Him. The more I study the Bible, the more I know about God’s story, the more I submit to God’s Holy Spirit, the more I spend time loving Jesus and being loved by Jesus, the more I discover the extent of God’s incredible love for me. Contrary to my past belief, Jesus didn’t expect me to come to Him cleaned up and sin-free. He accepted me, drew me closer to His heart, and wrapped me in compassion and mercy, while I was still chained by my brokenness, my fears, and my sins. Overwhelmed by Jesus’s love for me, I fell in love with Him. He didn’t shame my sins away or make me feel like a total loser, like I’d expected. Jesus showered me with grace, drew me so close I could hear His heart beating, and loved me. He loved me and held on with gentleness and compassion, until I had the strength to lean toward Him. 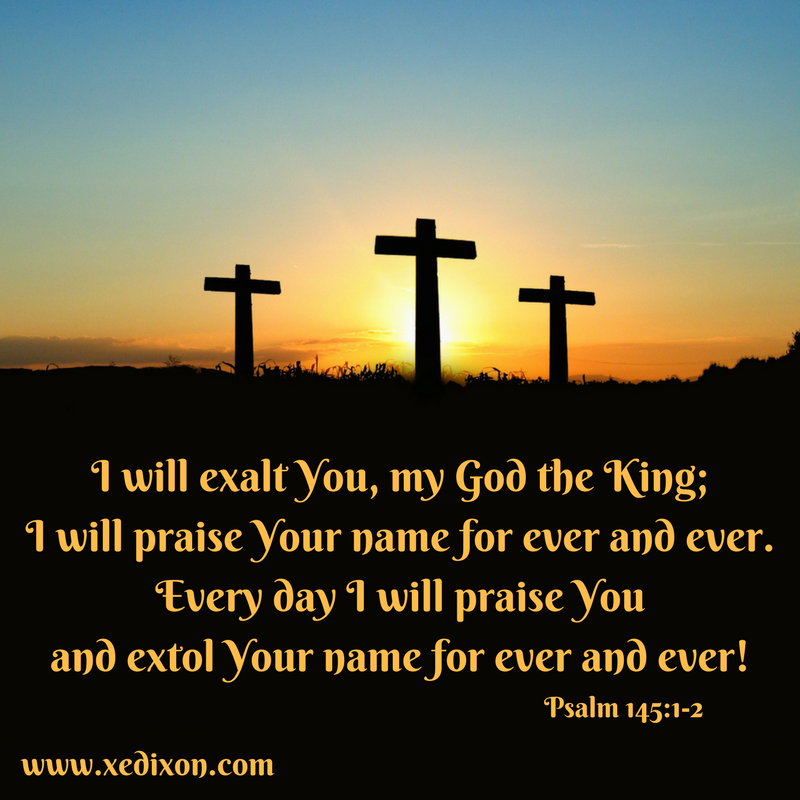 Eventually, I wanted nothing more than to love Him, to please Him, to praise Him, to live for Him because of His love for me. The more I lived for Him, the more I understood Jesus’s declaration that loving Him leads to obeying Him (John 14:15-27). Sobbing on a cold cement floor of my garage on December 14, 2001, I had my Zacchaeus Moment. But it’s during my ongoing face-to-face encounters with Jesus that He helps me love Him more, receive His love more, and turn toward Him and away from my sins more and more each day. Scripture says Zacchaeus climbed a tree to get a glimpse of Jesus when He entered Jericho (Luke 19:1-4). Short in stature, the chief tax collector scrambled up that tree because the crowd kept him from seeing the Lord (vv. 3-4). His status, his money, his heritage couldn’t spare him from the badge of condemnation his community placed on his chest (v. 7). Jesus could have passed the tree without glancing at Zacchaeus. The Lord could have rebuked him in front of the entire community, listing his sins, shaming, condemning, and demanding him to change. Instead, Jesus called Zacchaeus by name and let the whole world know He wanted to spend time with the man He knew was a sinner (v. 5). With a sense of urgency, his tone dripping with joy, gratitude, and even surprise, Zacchaeus “welcomed” Jesus into his home “gladly” (v. 6). When his neighbors reminded him how unworthy he was (v. 7), Zacchaeus didn’t wait for the Lord to rebuke them. He repented and offered restitution before Jesus even said a word (v. 8). And when the Lord called him a son of Abraham (v. 9), how did Zacchaeus feel? How could he hold back the emotion after being acknowledged as a rightful member of God’s family, because of who he belonged to, because of who loved him, not what he did or didn’t do? 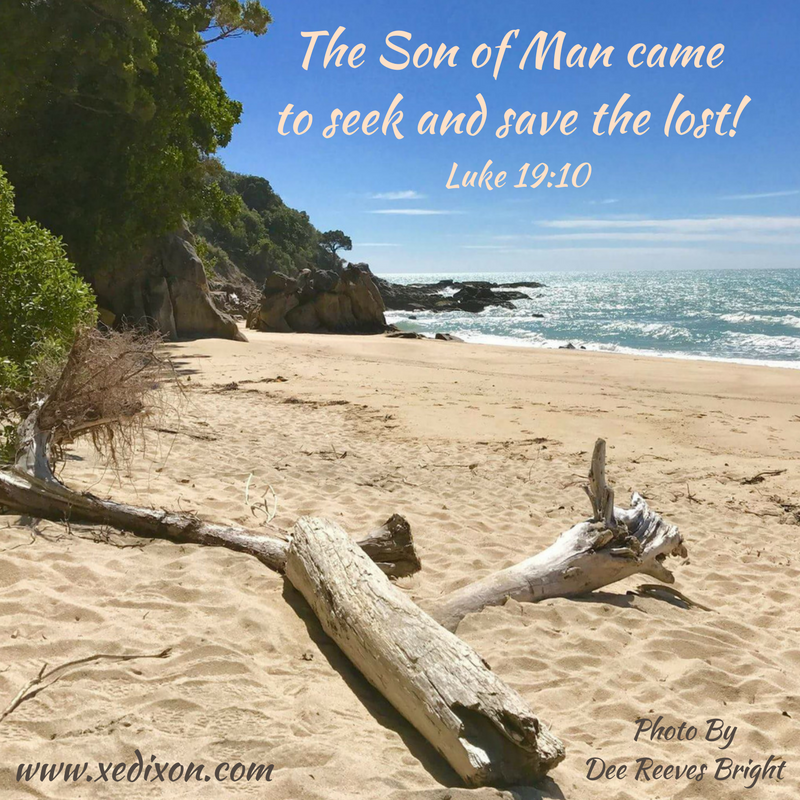 Jesus made it clear that Zacchaeus belonged for one reason: “For the Son of Man came to seek and to save what was lost” (v. 10), to save those lost in their sins . . . all of us. Because I am a sinner. I am compared to God, who is holy, not anyone else. I am a sinner in desperate need of rescuing, a sinner saved by God’s grace. Being a good person will never save me, because I can never be good enough. Only Jesus is perfect, only Jesus is good enough, only Jesus can save. And that’s why He came, why He died on the cross, why He rose, and why He whispers our names until we turn to Him and receive all that wondrous life-transforming love He offers us. I lived the life of Zacchaeus, fending for myself, not caring who I hurt as long as I benefited, as long as I avoided pain. But Jesus . . . oh, but Jesus . . . Jesus called me by name. Jesus invited me to spend time with Him. He helped me accept His love and gently cracked my armor until I gladly welcomed Him into my home, my heart, my life. The Father sent His Son to save all sinners, which means all people. When we choose to receive Jesus as our personal Lord and Savior, He blesses us with His Holy Spirit who dwells in all Christ followers. He invites us to commune with Him through prayer and the study of His Word. He helps us to know Him and know His Word, the more we spend time with Him. He helps us receive the fullness of His grace, as He empowers us to repent and turn away from our sins so we can live for Christ and share His life-transforming love with others . . . because we are all lost without Him. Lord, thank You for loving us and wanting us to know You intimately. Thank You for reminding us that when we surrender our lives to You, we are sinners no longer enslaved by our sin because we are saved by Your grace and renewed by Your eternal and unconditional love. Please help us love You, live for You, and share You, every chance we get. In Jesus’s name, Amen. Photo taken by and used with permission from Dee Reeves Bright.